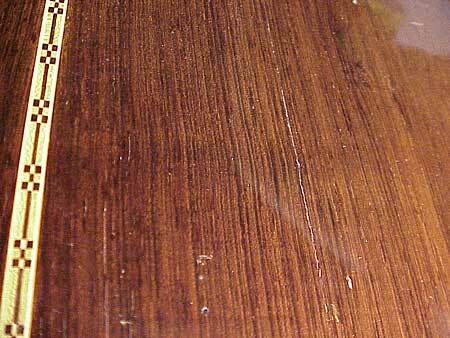 Because the crack is so tight, I think the only glue I can get in there is the thin viscosity cyanoacrylate. 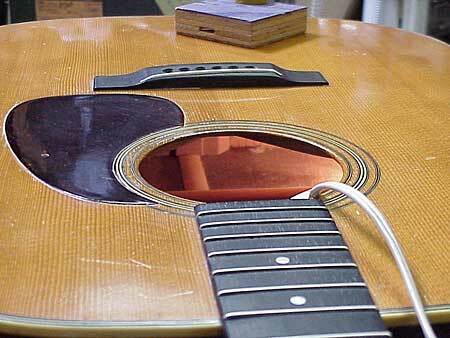 You can't see from this picture that the guitar has a nearly perfect original finish. 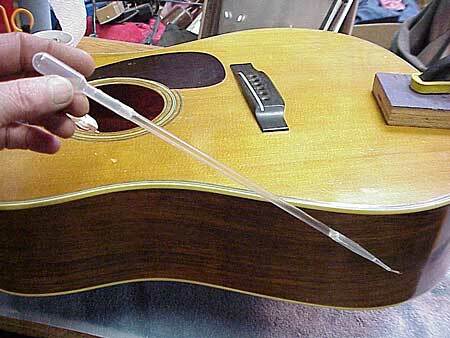 That's why I don't want to run the glue in from the outside. I'd much prefer to work from the inside so I don't have to do any finish touchup, which would affect the look of this fine vintage guitar. With it, I can reach all the way down inside. 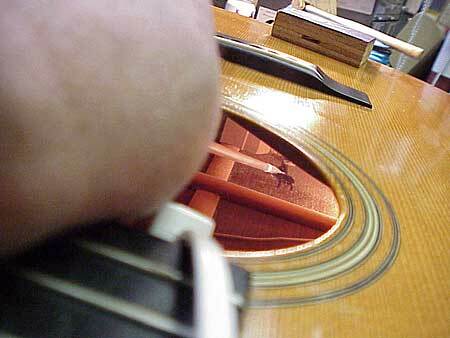 This job is easy to see because it's a straight shot right down through the soundhole. 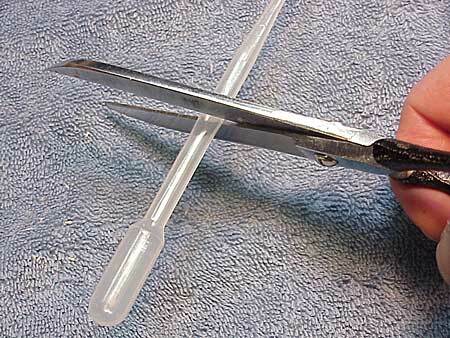 I can bend my pipette to make it possible to reach other areas. 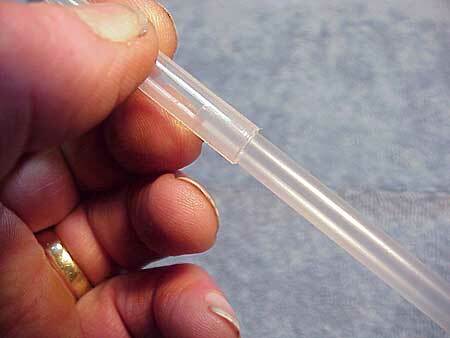 I bend the straw section over the flame of an alcohol lamp, working very high off the flame. I particularly like the cheap, disposable nature of this little tool. Use it once, and chuck it. No tool cleanup at all! 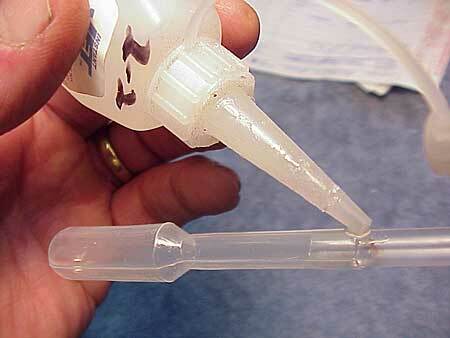 The thin viscosity glue runs easily into the opened crack. It doesn't run through to the outside, though, because the crack is so tight, and because I have it clamped downward, closing the very outside edge of the crack. Now, all I have to do is clean up the excess glue after it sets.